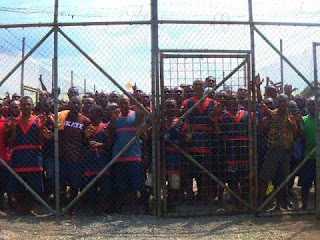 The Prime Minister has demanded a full explanation from the Correctional Services, why six prisoners were released from prison in Lorengau last weekend, who subsequently escaped. In a statement, Peter O'Neill, has further announced a ban on all day temporary release of prisoners, except under exceptional circumstances. He says this is until a review of procedures is undertaken, and the enactment of stronger penalties for prisoners who escape lawful custody as well as those who aide or harbor them. Mr O'Neill says the escape of six prisoners on day release places communities at risk, adding that some of the prisoners have attempted escape in the past and should never have been allowed outside prison walls. Mr O'Neill says day release from prison and gradual re-entry into the society is an important part of rehabilitation, but here are cases where prisoners are released back into the communities without due concern for the welfare of the public. The prime minister says he's instructed the Correctional Service Minister to stop day release for prisoners around the country until a full review of procedures is undertaken and implemented. Mr O’Neill also says efforts to apprehend the current escaped prisoners will be stepped up, and penalties for escaping or harboring escapees will be increased. He says the Government will review penalties for prisoners who escape lawful custody, and those who help them escape or hide.